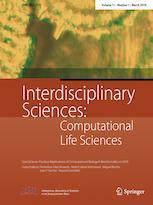 The journal Interdisciplinary Sciences--Computational Life Sciences presents outstanding coverage of significant research across scientific disciplines. The coverage ranges across the broad field of computational life sciences, an area that has recently seen rapid development at the forefront of scientific research and technology. The editorial board comprises experts from around the world. Taking full advantage of Springer online technology, the journal combines rapid print publication with early OnlineFirst distribution through SpringerLink.